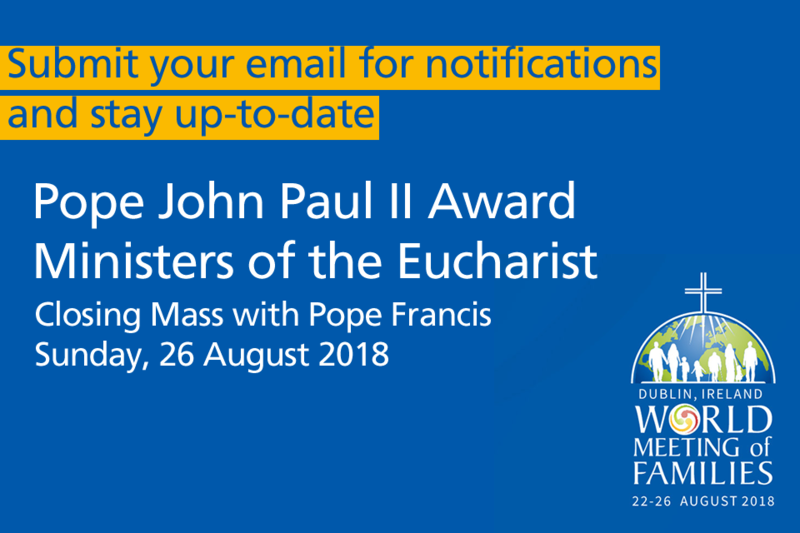 If you are a Pope John Paul II Award participant or Award Leader who has registered for the role of Minister of the Eucharist at the closing Mass of the World Meeting of Families 2018 (WMOF2018), you should submit your name and email in the form below. This will enable us in the Pope John Paul II Award to email you up-to-date and important information you will need for this event. 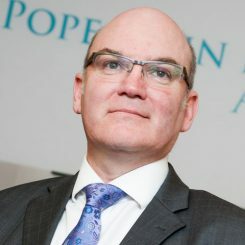 WMOF2018 have asked Pope John Paul II Award participants who are trained and serving Ministers of the Eucharist to serve at the WMOF2018 closing Mass with Pope Francis on Sunday, 26 August 2018. Award participants from 7 dioceses have registered online for this role with the WMOF2018 directly, through their parish or through their school. Due to school holidays it may be difficult to make contact with Award Leaders and schools to get updates on applications and what to do on the day. Please submit your name and email below to receive updates by email. If you know of others in your JP2Award group who have registered for the role Minister of the Eucharist at this closing Mass, please let them know they should submit their details on this page.